House mice are among the most common pests that can invade your home. Rather than waiting until you have a full-blown mouse infestation, you can take the time to schedule mice proofing services for your home . 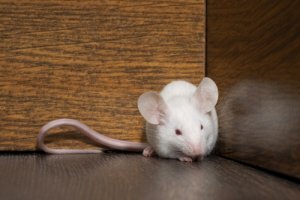 A company that offers mouse prevention in Pleasanton will be able to identify areas around your home that may be vulnerable to house mice infestations. With help from a team of professionals, you can secure these areas and protect your home. There are a few methods that can be used during the mouse proofing process. To keep house mice away, you will need to seal any crack or hole that is larger than the diameter of a standard pencil. House mice are so flexible that they can fit into even the tiniest cracks and crevices. Along your roofline, you may also want to make sure that your gutters are not clogged with leaf litter and other types of nesting debris. For answers to your questions about mouse prevention, get in contact with your local rodent exterminator.